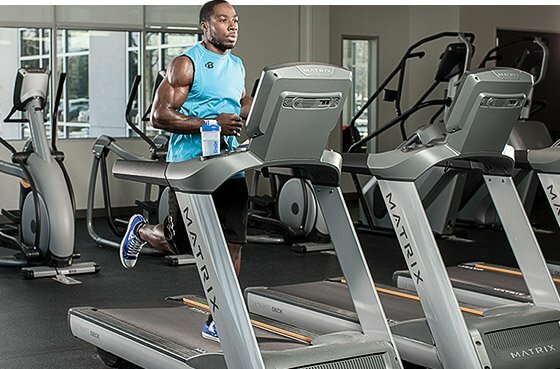 Should Cardio Come Before Or After A Workout? Should you do your cardio before or after lifting weights? It's complicated. Here's when you should do cardio and why. None of us want to think of ourselves as built, beautiful, and...useless. But if we want more than just brawn, we have to find the time for a cardio workout, aka aerobic training, as an addition to our regular weight training. Lots of people do their cardio before their weight workout, lots do it after, and some even do it right smack in the middle. No matter when you get your cardio in, everybody should be doing it at least a few times a week. Even if your only goal in life is to be huge, and you're terrified of burning calories, you still should be doing some form of aerobic exercise. There are so many reasons to do cardio, besides just burning calories—a stronger heart and lungs will equate to a stronger body, a bigger pump, and greater fitness overall! Of course, the biggest problem for most people isn't figuring out why to do cardio, but figuring out when to do it! A lot of people just don't have the time for a really long workout. They want to increase their endurance levels, and improve their resting heart rate and overall cardiovascular health, but they also want to build muscle mass. So, they have to choose between doing a little cardio first, doing a little cardio after, or mixing it all up at once. And the truth is, there is a best time to do cardio...sort of. Is First Thing in the Morning Good? Some people wake at 4 a.m. just to do a full cardio session, then do their weightlifting workout later in the day. A run in the morning and a weightlifting session later is awesome for those who have time for two-a-days! Typically, those people don't eat before their morning workout, though—they're running on empty! If their primary goal is fat loss, that could seem like a good thing, as the body burns off calories before taking any in. However, the body will shift into self-preservation mode and start feeding off muscle instead of fat, which is ultimately not a great idea. If you're going to incorporate aerobic exercises of lengthy duration into your fitness program before daybreak, a good rule of thumb is to thumb your nose at starvation tactics and drink a small protein shake or eat something very light pre-workout. Your energy levels will be much higher as your body is no longer burning all of its energy just to survive. What About Just Before Weight Training? Some people like to do their cardio right before their weight training. If you only have one hour a day to hit the gym and exercise, this seems pretty reasonable. But if your goal is to see big increases in your strength training or overall endurance, you'll be disappointed. The 15-20 minutes you spend on your cardio workout isn't going to be enough to see gains in your aerobic levels, and is going to seriously sap your muscle stamina right when you need it most: before you lift! Instead of committing to a proper cardio session and proper lift routine, you'll have shortchanged yourself with a quick run and a quick lift. You'll generally maintain good health and strength this way, but you won't see big gains. If all you want is good health, then this is a heck of a good way to get it. But if your fitness goals involve accelerated greatness in either aerobic levels, strength, or mass, then you'll have to do something different. What About After Weight Training? This seems to be the best idea for people on a tight gym schedule. The greatest strain on your muscles will come from heavy lifting, so you want to do that first while you still have muscle strength, but your glycogen stores, needed for cardio training, won't have been depleted by your lifts. You can do 40 minutes of weight training, followed by 20 minutes of cardio, with your energy levels remaining relatively strong. There are two ways to get the benefits of a full cardio session and a full weightlifting session. You could make more time in your schedule and start doing full cardio sessions of 45 minutes to an hour, with full weightlifting sessions of however long you need! The second way—and the most practical for many of us—is to superset your workouts with cardio and weights. For instance, a superset of 5 minutes of cardio and 5 minutes of upper-body exercises, back and forth for 60 minutes, is an awesome way to crush it in the gym while maximizing time. If you have the time to do two-a-days or can carve out extra hours in your week to make room for separate strength workouts and cardio sessions, then you have no problems! But, if you only have an hour and you absolutely have to do cardio and weights in that same hour, then your best bet is to either superset or do your lifts first and your cardio training after.